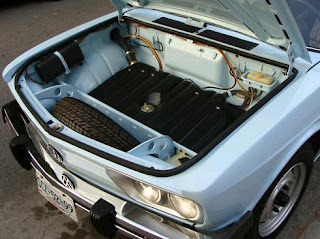 I've never been a huge fan of air-cooled VWs, but this is cool. The Brasilia was built by Volkswagen of Brazil. (No real surprise, given the name.) VW of Brazil had a certain amount of independence from its parent company in Germany and was able to design and produce cars like this and the really cool SP2 for markets outside of Europe and North America. The Brasilia was sold in most Central and South American countries and, although part of Europe, Portugal. VW sold over 1 million of these cars during its 10 year run. 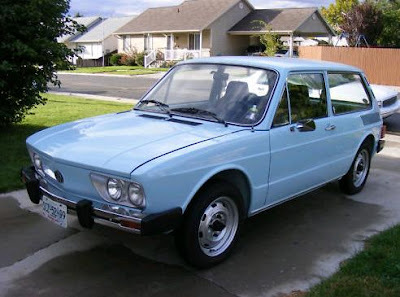 While it looks a lot like a shrunken VW 412, the Brasilia is actually based on the old Beetle. The Brasilia had a VW 1600cc engine. The car weighed just 2000 lbs, but it was slow. 60 MPH came in over 20 seconds and the top speed was just 80 MPH. According to the seller, there are just 4 of these cars in the US. This one has just under 30,000 miles on it and was in storage for 23 years. The seller says everything is in working order on the car. 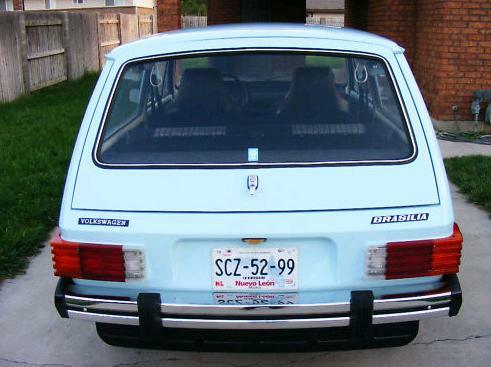 The great thing about this car (and the SP2) is that except for body panels and trim parts, everything for this car is readily available in the US. If you're an air-cooled VW fan and and having something very exclusive (at least in the US) means a lot to you, this would be a very, very cool car to own. Located in Orem, UT, click here to see the eBay listing. Very good find. 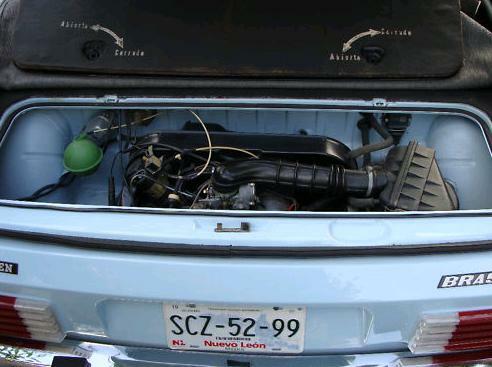 These are still somewhat common in Mexico and old enough to legally import to the U.S. I imagine we'll see more of them in coming years. An amazing find. I love the 412 but from what I have found out, there not that great to own. This however, based on the Beetle would fit the bill nicely! Checking some Mexican auction sites, looks like a fair example is about $1k hmmmm, might be worth the gamble. Sensacional! Meu Pai tem uma Brasília desde 1984, um modelo 1979 com surpreendentes 29479 rodados, automóvel impecável! Amo andar com ela na rua, quando saímos eu e meu Pai, eu com meu Gol GTi 1994 e ele com sua Brasília 1979 paramos o transito e atraimos muitos olhares. É sensacional!